Our mission at this Jesuit parish is that people find strength, light and consolation in our church. Participation in retreats and pilgrimages. When it comes to include children, young people and vulnerable adults in parish’s activities, our overarching principles are the best interests of the children and the recognition and respect of their dignity and rights. In keeping with this, we strive to create a safe environment for children, young people and vulnerable adults in order to secure their protection from all forms of abuse and enable their full participation in the life of the Church and of the Parish. 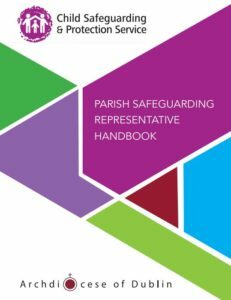 We are committed to putting procedures in place through which this care is put into effect so that the rights of children, young people and vulnerable adults to safely and actively participate in the life of the Church are upheld. These guiding principles inform this policy. The policy has been written to ensure that St. Francis Xavier’s Gardiner Street Parish takes every possible measure to prevent abuse. It aims to ensure that none of its personnel or volunteers engages in behaviour that could allow abuse to occur or actions that could be misinterpreted by children, their families or other adults as constituting or leading to abuse. 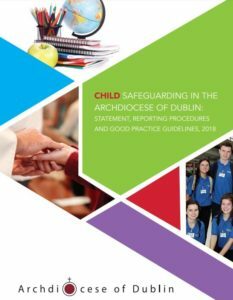 This Safeguarding Children Policy and Procedures document should be read in conjunction with the Safeguarding Children Policy and Standards for the Catholic Church in Ireland, 2016.